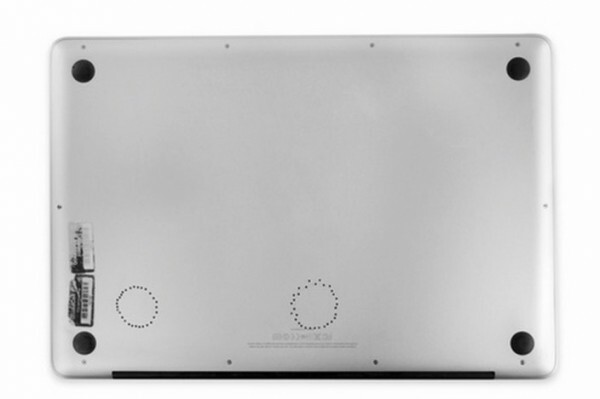 It may sound crazy and rather sarcastic, but a MacBook Pro owner has successfully fixed his unit by baking it in the oven and drilling as many as 60 holes under it. Before you run off to the store to get an oven and a drill, you might want to read on to find out how exactly he did this. An iFixit programmer by the name of Sterling decided to take matters into his own hands when his MacBook Pro died one fateful day back in March 2014. He decided to reflow his MacBook’s logic board to fix it. Reflowing is the practice of melting all the solder on the circuit board in the hopes that it will settle and reconnect any broken connections. Sterling accomplished this by baking it in the oven at about 170°C. I cracked open the back of my laptop, disconnected all eleven connectors and three heat sinks from the logic board, and turned the oven up to 340º F. I put my $900 part on a cookie sheet and baked it for seven nerveracking minutes. After it cooled, I reapplied thermal paste, put it all back together, and cheered when it booted. It ran great for the next eight months. Temperatures averaged in the 60s and 70s C—although recently, they began creeping up again. After his initial fix no longer worked, he decided to take it a step further and drilled two rings of holes under his MacBook Pro. The result? There’s noticeably increased airflow along with a much lower running temperature. When Sterling put a piece of paper on the bottom of the MacBook, it sticks to the case. For a do-it-yourself fix, this result is pretty amazing. Sterling went on to say that while it is too early to tell if this fix is a permanent solution, his Macbook Pro has been running fine for the past 15 days. If you want a more detailed look at his fix, visit his iFixit blog post here. Perhaps Apple can learn a thing or two from Sterling’s unconventional fix. A word of warning though: unless you know precisely what you are doing, we definitely do not suggest anyone to do this to their MacBook Pro.